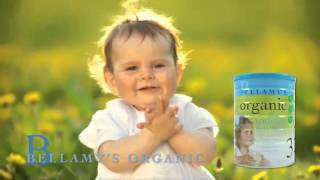 Bellamy’s Organic Step 3 Toddler Milk Drink is a nutritious supplement that is made from certified organic cow's milk. It contains added iron and 16 other essential vitamins and minerals to support the rapid growth of your child. Earn 469 AgapeDollars for purchasing this product.